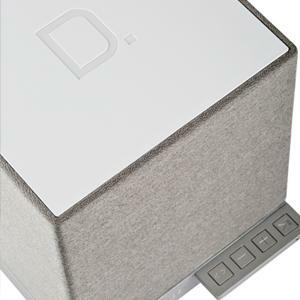 The W7 is ideal for smaller living spaces, such as bedrooms, dens and kitchens, delivering big, audiophile-grade hi-fi sound from a sleek, compact package. With W7, you can stream all the music you love from your favorite services, such as Spotify and Pandora, or select from your digital music library and stream in great, hi-fi sound. Using the free app, W7 is easy to set-up and use, and is controlled from your phone, tablet or computer. 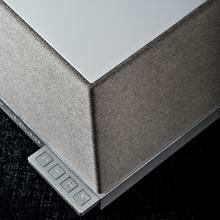 The W7’s unique cube-shape design features a tri-polar speaker configuration that sends sound in three separate directions. And the result is a room-filling, balanced soundstage complemented by a natural timbre dispersed throughout the room. Combine the W7 with more products from the Definitive Technology Wireless Collection to explore the limitless possibilities of best-in-class sound from a company that continually sets—and raises—the bar on superior audio. This is what obsession sounds like. 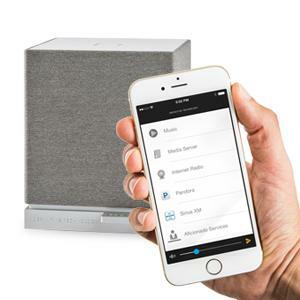 The W7 is part of the Definitive Technology Wireless Collection, an uncompromising line of products that gives you ultimate control to stream your favorite music to any room in your home from your phone, tablet or computer. The Wireless Collection was created for audio aficionados with unrelenting expectations, a discerning ear and an unwavering passion for sound, so you can obsess over every beautiful detail, everywhere in your home—wirelessly. The Definitive Technology Wireless Collection is built on the DTS Play-Fi wireless streaming technology. 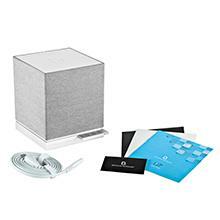 DTS Play-Fi technology gives you the freedom and flexibility to wirelessly stream your favorite music services like Pandora and Spotify, Internet radio and music libraries from the convenience of your mobile device over your existing home Wi-Fi network. Play-Fi also wirelessly transmits high-quality audio to multiple connected speakers simultaneously. 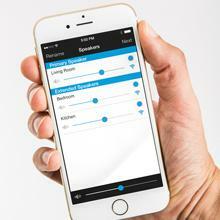 Use the free Definitive Technology app to set-up, link, group and control all of your speakers. Enjoying best-in-class audio anywhere in your home has never been this easy. Stream crisp, clear music from your phone, tablet or computer and never again compromise your listening experience when you walk into a different room. 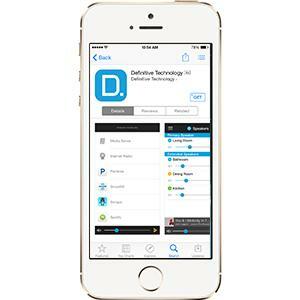 All you need is your mobile device, a wireless network connected to the Internet with an 802.11n router or better, the free Definitive Technology app, and a product from the Wireless Collection. With multiple Wireless Collection speakers, play the same song throughout your home or play different music in each room. You can even create groups of speakers and setup zones however you see fit. And for true stereo listening, simply pair two speakers to create left and right channels. 4. Aficionado Premium Service Card. Stream the same music from your favorite services like Pandora and Spotify, or from your digital music library, to every room. 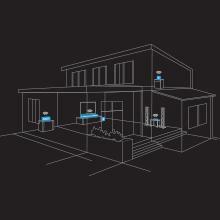 Or, stream different songs to different rooms--control is right at your fingertips. The free Definitive Technology App lets you mix-and-match speakers with the open DTS Play-Fi Technology and gives your home music solution a contemporary, future-proof upgrade. 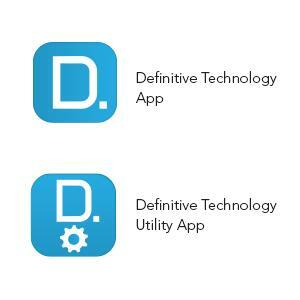 For access to extended functionality, including Product Firmware Updates and EQ Settings (Definitive W Amp only), download the free Definitive Utility App, available from the App Store or Google Play Store.